FIN Tech ten market segments at $25,000 per market segment. Share 25% up to $1,000,000 per market. Welcome to the Canadian Investment Network. We are an online matching service connecting Canadian entrepreneurs with business investors from Canada and the United States looking for profitable business opportunities. There are no fees to join so register today as an entrepreneur or investor and become a part of the Canadian Investment Network community. We have created a dealflow network to help you find investment opportunities. Our site offers you access to thousands of business proposals. 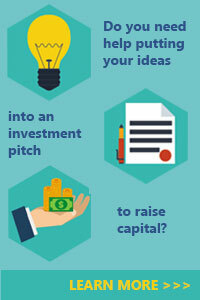 Join for free and begin receiving investment opportunities from leading edge start-ups to profitable mature businesses. Quinnie Clips are going to change the way we put our kids into car seats forever! This Design Patented/Utility Patented product is going to help Parents across North America with the stresses of buckling up harnesses in kids car seats and strollers. Today, over 4,346,561,853 global Internet users type in their card data and risk identity theft. Our CT Checkout app converts iPhones and Android phones into consumer terminals and keep card data off the Internet. TurnOut is the new app for organizing your social event. Create an invite, chat with invitees and share media during your private event. Looking for something to do tonight? TurnOut shows public events that are happening around you anywhere you go. Successful local boutique hits it huge locally and online! Forecast to exceed $500K revenue for 2019! Canada's Best-Selling nootropic (cognitive stimulant) on Amazon. Bootstrapped to over $100,000 sales without advertising. Natural & approved by Health Canada with claim to Enhance Brain Performance. Made in Canada at Health Canada licensed facility. Body and mind health is the most sacred investment in oneself next to family and God. There are many customers seeking safe products to improve and maintain their bodies, minds, including their pets health. Seeking assistance to satisfy this need. I have been in the home building for majority of life and now have an opportunity of starting up a flood fire mold and asbestos restoration business. Located in an area that there is one competitor within 300Km. Insurance jobs in place already. We are a Home Builder Company looking to expand with our networking and professional expertise. We want to purchase more lots in the current year and generate sales for our investors. We buy lots in the hottest locations and demanding locations. A Social Network to upload Good Deeds and get rewarded. 70% of profit from several other business ventures will fund the rewards. ROI will be based on the net revenue. Please check the 3 minute video (link given below) introducing the concept. Become part of a Canadian renewable energy company focused on waste-to-energy solutions by extracting energy from biomass and turning it into electricity, heat, and consequently, food. 10 mineral exploration properties form the base for a new prospect generator ready for the new resurgence of exploration. MariGreen Farms, a "contract grower" of cannabis, will be able to sell its products\services at greatly reduced costs allowing us to become an attractive partner with a broad range of Licensed Producers (LP) and consumer-packaged goods companies. Canaguard Technologies is a manufacturer and distributor of Locking Smell Proof Cannabis storage and transportation bags and products that offer compliance with Cannabis act regulations for storage and transportation in vehicles and boats. PhD in Electrical and computer engineering. Calgary, AB, Canada. Geoscientist. BSc in Geophysics. Geoscience consulting. Hands on, advisor, and silent. We are one of the leading Information Technology and Telecommunication companies in Europe looking to invest capital within Canada. This will be a financial investment, with the possibility to cross utilize our/your products and services. I'm a full time professional (systems enginner degree) in the Consulting/IT industry with 20 years of experience in my field, but I'm now looking to put some savings to work to accelerate and diversify my income. I've had a positive experience in my only investment prior to joining this network (in real estate development) as a silent investor and now that it is over I am open to consider proposals in that as well as other industries, primarily looking at two factors: risk profile, duration and ROI. Looking to continue investing as a silent investor or advisory (if applicable). If you have a business that has a proven and attractive ROI and all you need is some extra cash to operate/expand... I might be interested. I'm the owner and Chief Strategy Officer of consulting firm, market research, advisory board and co-founder of multiple small businesses. Outside of being a serial entrepreneur, small business guru, mentor and connector extraordinaire, I'm passionate about helping people to create their life, not just live it. I'm specifically looking for someone that has a great product/service that they want to sell to their ideal target market. This individual needs to be open to strategic alliances, joint ventures and other situations that will elevate their business. On an aside, my network includes many c-level executives and decision makers that are looking for the right product/service to solve their problems. Have a solid network of like minded individuals willing to partner on larger investment startups or expansions. Looking for potential pre IPO stage business ventures or shares in active company.. Have recently been involved in 3 year long investment in the marijuana industry and have a group of people looking to diversify. I am a 34 year old successful business owner/entrepreneur from Kelowna BC. I am born and raised here, however I have traveled the world for many years. I now reside here with my husband and 2 kids. We own a few properties, and am now looking to expand and look to invest elsewhere. I am mainly interested in becoming a silent partner but am open to other opportunities.